As exciting as it is that Kate Middleton and Prince William are now proud parents to Princess Charlotte Elizabeth Diana, there's one other important person we need to discuss: Prince Harry, aka Prince George and Princess Charlotte's uncle. Her Royal Highness Princess Charlotte of Cambridge might have only been born three days ago, and there's still much to discuss, but Prince Harry matters too. Queen Elizabeth II met Princess Charlotte on Tuesday, in addition to Middleton's family and Prince William's father and stepmother, but what's Prince Harry been up to? Well, he has yet to meet his niece, but that doesn't mean he's avoiding her. On Sunday, Prince Harry released a statement about royal baby #2 and as you might've guessed, it was adorable. He said, "She is absolutely beautiful. I can't wait to meet her." Best. Uncle. Ever. For real, Prince Harry is the greatest uncle ever, and I'm not saying that because he's absolutely adorable and has Ed Sheeran/Ron Weasley hair. Prince Harry truly makes a great uncle to his niece and nephew. Let's all take a moment to imagine their playdates. Now, let's hash out why Harry makes one great uncle. Here are six reasons Prince William's baby brother is the uncle his kids will always be thankful for. After the birth of Prince George and before the birth of his niece, Prince Harry joked, "It’s fantastic to have another addition to the family. I only hope my brother knows how expensive my babysitting charges are!” Not only is this proof that he has a great sense of humor, but it also shows that Harry will be great at telling the kids' jokes. When it comes to family, Prince Harry is protective. If this statement about his nephew doesn't melt your heart, I don't know what will. After being asked about what he'll do as an uncle, he told The Guardian, "To make sure he has a good upbringing, and keep him out of harm's way and to make sure he has fun. The rest I'll leave to the parents." You can't be around kids and not be goofy, which isn't a problem for Prince Harry — at all. What's more perfect than an uncle who can teach his niece and nephew about giving back to others? 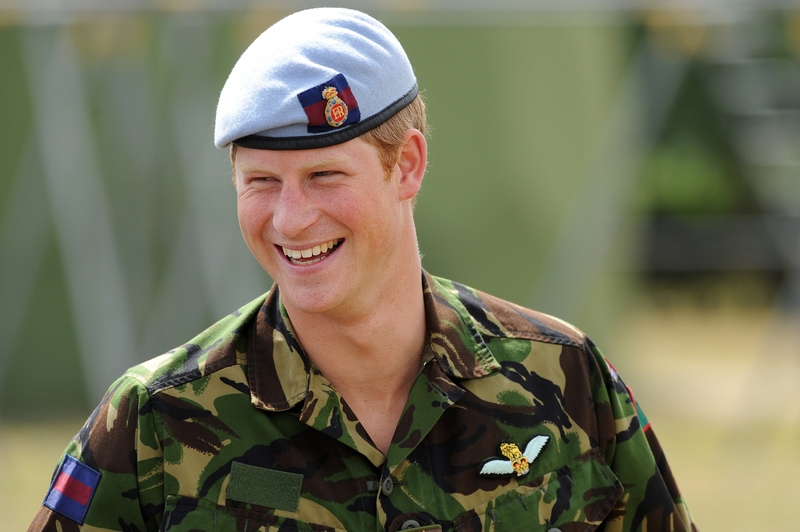 Prince Harry is all about charity. For example, in December 2014, he took to Twitter with his #FeelNoShame campaign to raise awareness for World Aids Day. If he teaches Prince George and Princess Charlotte anything, it's that giving back to others is important. Prince Harry is no stranger to getting into trouble, so if his niece and nephew ever find themselves in major trouble, they can just call their Uncle Harry. What else is an uncle good for?